US Navy to Retrofit Dozens of F/A-18 Super Hornet Jet Fighter. US Navy plans to modify another 45 Super Hornets Boeing F/A-18E/F in the next two years to increase the useful life and capabilities of the aircraft, announced on March 27 the Air Naval Systems Command (NAVAIR). 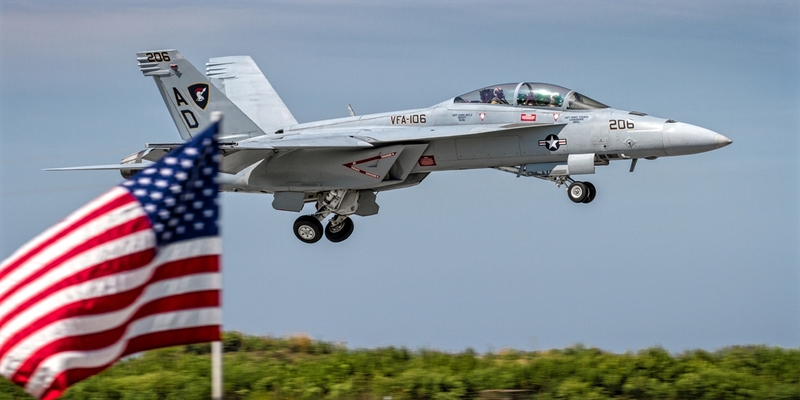 The potential contract will cover modifications to up to 15 aircraft in the 2019 fiscal year and up to 30 aircraft in the fiscal year 2020, says NAVAIR. The modifications are designed to extend the life of the fuselage of the fuselage from 6,000 to 9,000 h, adding up to 10 years of useful life. Boeing will also convert the existing Block II Super Hornets to a new Block III configuration from the 2020s. The Block III conversion will include improved network capacity, a longer range with internal conformal fuel tanks, a system of advanced cabin, a reduced radar signature and an improved communication system. Such updates are designed to make the Super Hornet effective in combat until at least until the early 2030s. Boeing was hired to perform work on an initial four aircraft earlier on February 28, a contract valued at USD 73.2 million, with work to be completed by April 2020. The allotment to modify 45 additional aircraft was an expected follow-up to that initial contract and it's part of an update program that is expected to last a decade. Boeing plans to modify eight to 12 aircraft at its site in St. Louis, Missouri this year, then will open a second modification line in San Antonio, Texas, next year. The US Navy has an active fleet of 541 F/A-18E/Fs. In addition to modifying its existing fleet, the Navy is buying 24 new Super Hornets for a total of USD 1.8 billion in fiscal year 2018.